The fundamental objective of roasting should be to reveal the best flavors of a particular coffee bean and a balance with the basic bean characteristics. This is best achieved by roasting consistently in color and time-temperature profiles. Too fast gives insufficient time for flavor development. A longer, light degree of roast allows the coffee to reveal its true flavors without masking such taints to the flavor as fruity, moldy, or dirty. (This is important for sample roasting and making buying choices.) Darker roasts develop caramelized flavors with a sweeter aftertaste, more suitable for espresso. Quick cooling following the roast helps stabilize the brightness of a coffee associated with high acidity. Sonofresco now enables the discerning roaster to control all of these important roasting variables but still maintain the simplicity of “push-button roasting” with its new Advanced Definition Roasting (ADR) controller. The ADR software package creates the ability to design multiple time-temperature roasting profiles using on-screen “click and drag”, and to specify degrees of roast on a laptop computer. Up to 6 different profiles can be downloaded wirelessly and stored on the Sonofresco Roaster Control by Bluetooth. The desired roast profile and degree of roast are selected before pushing the “start roast” button. As the roast develops the actual roast temperature is traced on the computer screen against the selected profile. Download software from CD and select license. Use the ADR software to design your own custom profiles by “click and drag” the profile points. Store unlimited roast profiles on your computer. Select roast profile and degree of roast setting on your Sonofresco Roaster control board prior to the start of each roast. The profile and trace along with notes about the coffee and roasting conditions can be saved and printed for future reference. 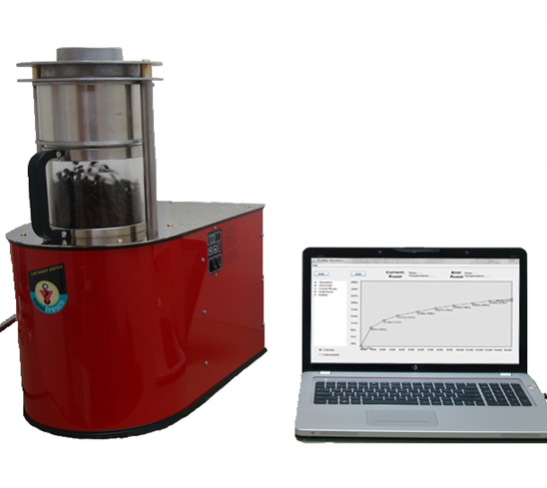 The software package contains the Sonofresco Default profile used on all Sonofresco Roasters along with 2 slower/lighter profiles designed for low and high density beans, and suitable for sample roasting. Sonofresco Coffee Roaster maintains push-button simplicity with this exciting new software application. Roaster follows selected profile, cut-off temperature, and automatically shuts down on completion. All 2014 Sonofresco roasters can specify either the ADR control package or the standard control. Upgrade ADR kits are available for all pre-2014 model roasters. (The kit includes new control board, new stainless steel temperature sensor, Bluetooth board, and software CD and license). The Advanced Definition Roasting package will indeed transform your business and give you the tools to become a coffee connoisseur.